It’s hard to believe we’re at another summer break for MinervaReads. The blog doesn’t operate in August, so at the end of July on the home page I leave a full list of summer reads and releases that you might find interesting. There was such a huge selection this year, I found it difficult to make my pick. 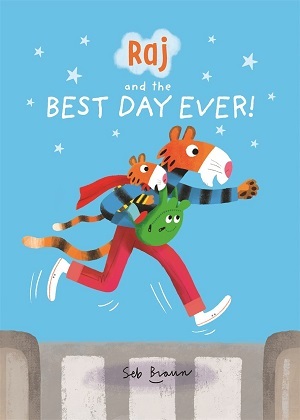 If you’re looking for a picture book that sums up your summer with your pre-schooler, then you’d be hard pressed to find a more endearing, real and funny book than Raj and the Best Day Ever by Seb Brown. Raj and his Dad make a list of what they’re going to do on their day out. But when Dad leaves his wallet behind, they must improvise. With a celebration of a father/son relationship, wonderfully busy cartoon animal illustrations and a sense that fun can be had with a little imagination, this is a funny, up-lit picture book. 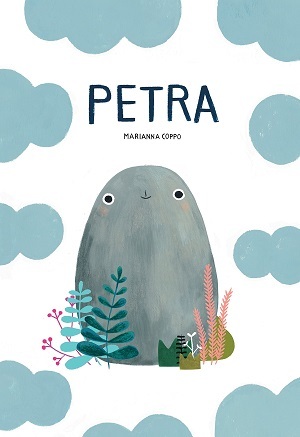 Further use of imagination in Petra by Marianna Coppo in this skilfully intelligent, minimalistic picture book. Petra is a pebble with a misguided sense of identity, although gradually she learns she has the potential to be many things thanks to her imagination and her literal journey. The understated-ness of the book lends to its charm, and readers will enjoy exploring Petra’s resilience in adapting to her new discoveries about who she is. Quirky and full of emotion. For a pebble, that’s saying something. 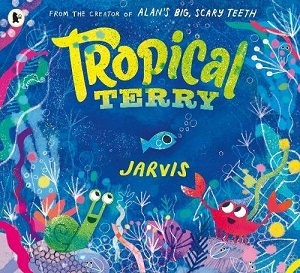 Issues of identity arise in Jarvis’s Tropical Terry too – a picture book fully exploiting the colours and shapes of the sea. Terry is a dull-looking fish, although it makes him excellent at hide-and-seek. But when he dresses up as a tropical fish, he gets more than he bargained for. Being happy with who you are and discovering your strengths, as well as valuing your real friends, is a great message. 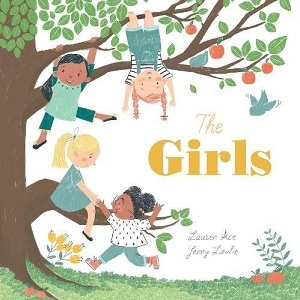 Others to look out for this summer include The Girls by Lauren Ace, illustrated by Jenny Lovlie, which celebrates friendship and inclusion between four little girls with joyful light and breezy illustrations, and Swan Lake by Anne Spudvilas, a dark and brooding visualisation of the ballet story that will haunt and delight in equal measure. The illustrations conjure up the movement of the dance; and the zoom into the chandelier and dresses is simply phenomenal. Sure to cast a spell. The summer is a great time to take up a new hobby. 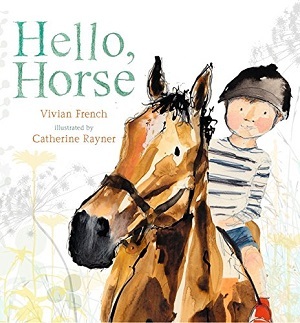 I swear my parents only took me riding for the first time in a freezing cold frosty mid-December to put me off the experience, but youngsters with an eye on the horses will be enthralled with Hello Horse by Vivian French, illustrated by Catherine Rayner. Charming, informative and with the most exquisite illustrations, this is a nature storybook that seeks to inform about aspects of horse care whilst telling a gentle story. The watercolours of the fields and wildflowers exude a sense of summer country days, and the texture of the horse is so appealing and nuanced that it will turn the reader’s head. 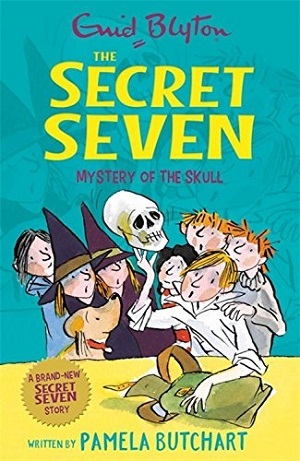 For young fiction readers, Pamela Butchart has updated The Secret Seven series by Enid Blyton, and the first is published in July – Mystery of the Skull. Butchart brings her exuberance and fast-paced story-telling, and although it’s stuck with Barbara, Jane and co, and so lacks a modern diversity, the first adventure is jolly good fun, and just as addictive as the original Blyton tellings. 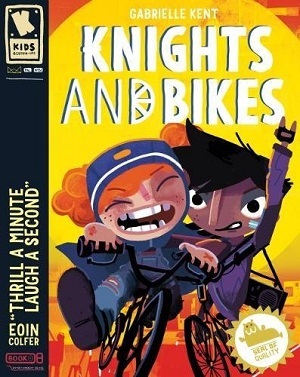 From new publisher Knights Of, comes Knights and Bikes by Gabrielle Kent, illustrated by Rex Crowle. As anticipated, this is a romping energetic adventure story on bikes that explores the wonders of friendship, with a quest to solve, and mentions of water balloons, frisbees and much more. A bit wacky, highly illustrated, and with a computer game to follow, this should be a well-thumbed mystery. 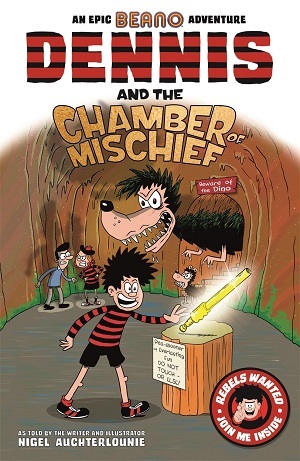 My own kids adore Saturdays, mainly for the postal delivery of the weekly Beano, so this summer will be fabulous when they discover Dennis and the Chamber of Mischief, as told by Nigel Auchterlounie. Full text interspersed with black and white cartoon illustrations, and a chatty interactive adventure in Beanotown. Perfect for a longer read. 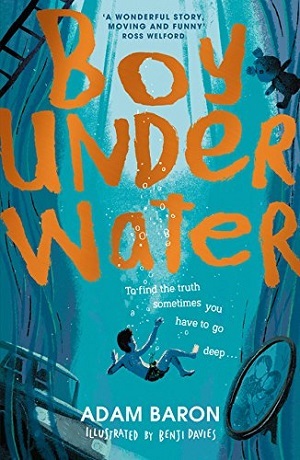 Junior fiction or middle grade readers may not want to read Boy Underwater by Adam Baron, illustrated by Benji Davies, next to the swimming pool, but it’s a compelling, sometimes sad read that will keep children hooked. Cymbeline Igloo has never been swimming, and his first foray into the pool alongside his classmates isn’t pretty. 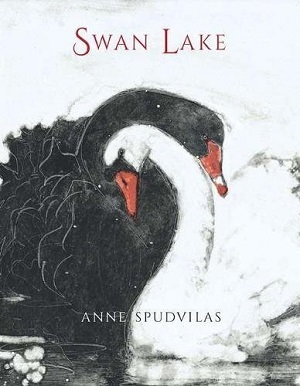 But it has longer-lasting effects upon his mother, and before long, old family secrets are exposed, and Cymbeline’s life will never be the same. Baron explores loss with pathos and empathy, but also adds brilliant touches of humour with his narrator’s wry voice, as well as a satirical look at privilege, and wise words about life in general. No wonder it was a Waterstone’s Book of the Month. Unmissable. 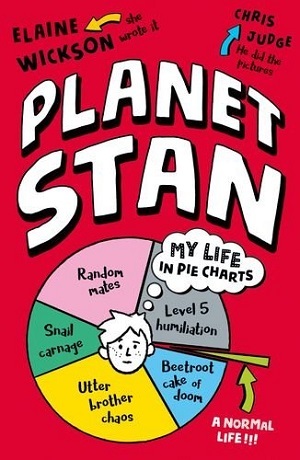 If you’re looking for funny, try Planet Stan by Elaine Wickson, illustrated by Chris Judge. A friendship adventure story packed with space facts and diagrams and charts, and yet also with hilarious survival tips. 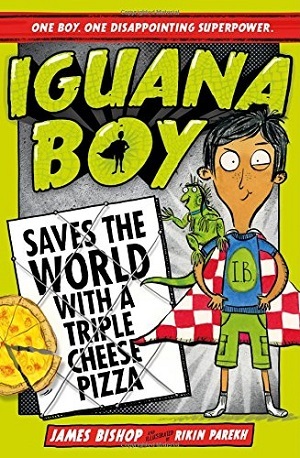 Or Iguana Boy Saves the World with a Triple Cheese Pizza by James Bishop, illustrated by Rikin Parekh about Dylan, whose superpower is being able to speak to iguanas. Perhaps not the best superpower to own. But if there were no other superheroes, it’d all be down to him. Funny, and with comic-strip illustrations. 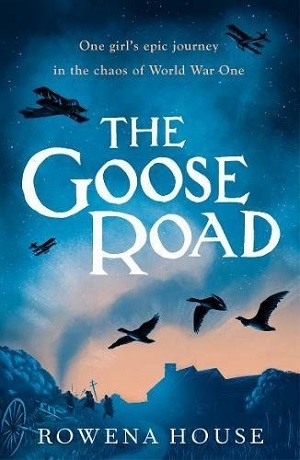 For a sensuous summer read, historical The Goose Road by Rowena House is set during World War I, and explores France through the eyes of Angelique, desperate to hold onto her farm until her brother can return home from the Front. Packed with detail, and charmingly poignant, this triumphs a girl with ultimate resilience in a desperate time. For YA, the choice this summer is really fantastic. 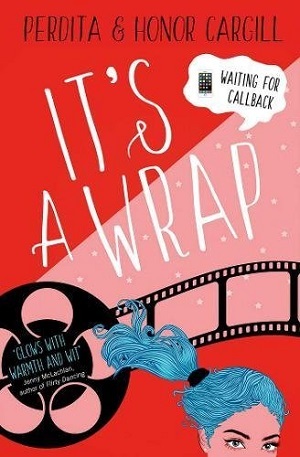 For an accessible, funny, warm teen read you’ll want to devour the Waiting for Callback trilogy by Perdita and Honor Cargill. The third in the trilogy has just been published – It’s a Wrap. The characters are rounded, real and raw, the situations dramatic and often hilarious, and the prose so readable you’ll forget where you are. 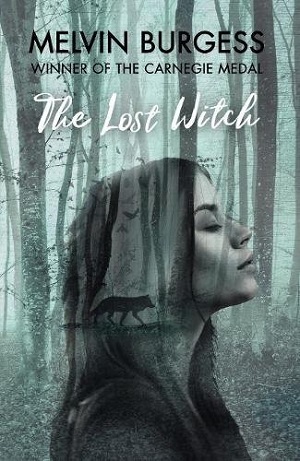 The Daddy of YA is back in town – Melvin Burgess has a new novel out for teens called The Lost Witch. His novels have never been for the fainthearted and this is no different – stark imagery that fixes in the mind, an exploration of the power and manipulation in relationships through use of a well-crafted other world, and a prosaic dance with the natural world in looking to what is wild and tame within ourselves. A master of twists and turns, here Burgess has intertwined an adept hand at fantasy whilst still retaining the grittiness of real life. Exciting, dangerous – for older teens. 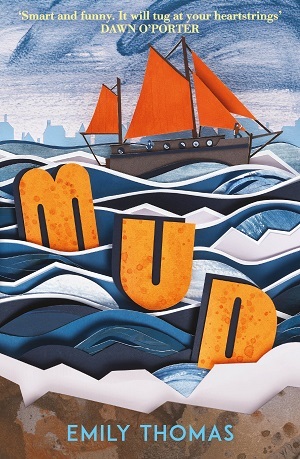 Other teens will prefer the more contemporary and reality-based Mud by Emily Thomas, with a teen voice that showcases sophistication. Set in 1979, it explores what happens when Lydia’s father announces he is selling their house and moving Lydia and her three older siblings to live on a barge with his new girlfriend and their family. Filled with complicated relationships, forgiveness and learning to make do, this is a fascinating read. 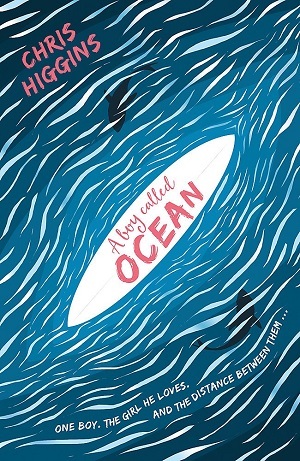 From river to ocean, A Boy Called Ocean by Chris Higgins tells the story of Kai from multiple points of view. Kai has always been best friends with Jen since he moved to Cornwall when he was small. But now Kai’s feelings have started to change, and then he makes a snap decision and finds himself stranded at sea. With Jen on land, and an ocean between them, this is a different kind of romance. 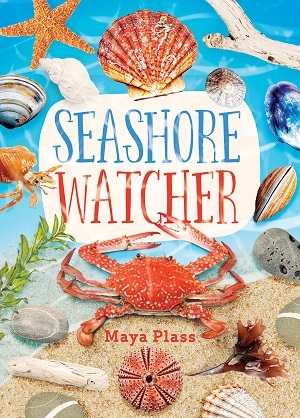 If you’re looking for interactive activity-led books then Seashore Watcher by Maya Plass has a summery feel and handily comes in a ziplock bag for practical use. As well as information about identifying different coral and shells, there are activities, factfiles and more. The full-colour photographs are fascinating and wondrous. 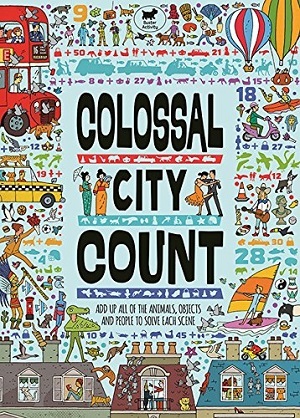 Colossal City Count by Andy Rowland is like a Where’s Wally with numbers and world cities. Practise identifying clues and counting villains to solve the crimes committed city by city. Have great fun spotting how many Victoria sponges there are in London! Lastly, and the one we’ll be taking on holiday, is Hoakes Island by Helen and Ian Friel. 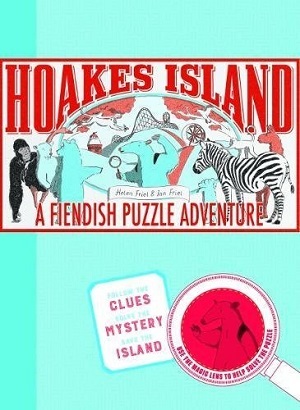 This puzzle adventure book – a collection of diary entries, maps, notes, puzzles and all sorts, leads to the clue as to where Henry Hoakes has gone – the owner of the amusement park. There’s a red magnifying piece for assistance, a group of talking animals, and letters that aren’t in order. Maths, comprehension, observation skills are all needed to solve the puzzle – but there’s also an intriguing adventure story within. For ages 7-11. (The answers are at the back, but don’t peek. It’s worth the challenge). Do come back in September. I have the best books of the year to recommend to you – they’re dropping thick and fast for the autumn. You’re in for a cracking reading time as the nights draw in, and the weather cools down!